1. They’ve been around for 40 years: The age of social media has turned sneaker collecting into a game of “I Spy.” But instead of street signs, kids today are desperate to name which designer brands and limited releases make up their closets (and Instagram feeds). 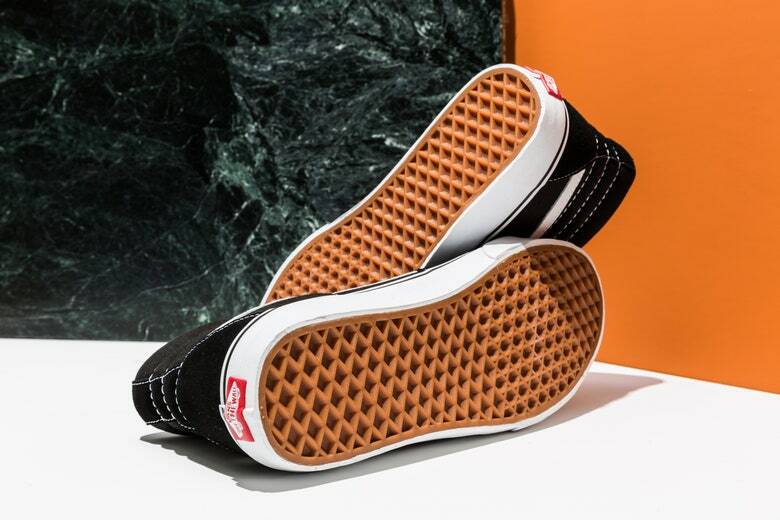 The Vans Sk8-Hi, however—originally named the Vans Style #38 back in 1978—has been around for so long that it transcends the hamster wheel of the sneaker game, meaning they’ll look cool today, tomorrow, and basically forever. 2. Skate style is the new move in menswear: From the Dickies-inspired pants of Noah to the Thrasher-inspired graphics of Vetements, it’s clear that ‘90s-era skateboarders are a major source of inspiration in fashion right now. Vans’ Sk8-Hi makes it easy to own a piece of the counterculture spirit, but because they’ve also been a street favorite for decades, you won’t veer into poseur territory if you can’t nollie. 4. A pair won’t break the bank: Even though they come fully loaded with style, history, and cool factor.